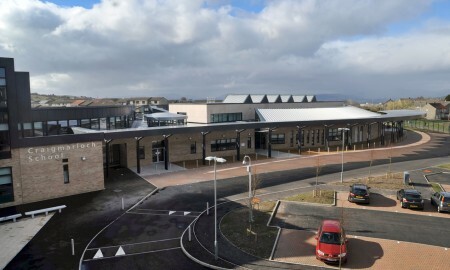 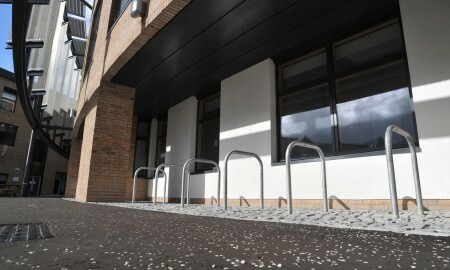 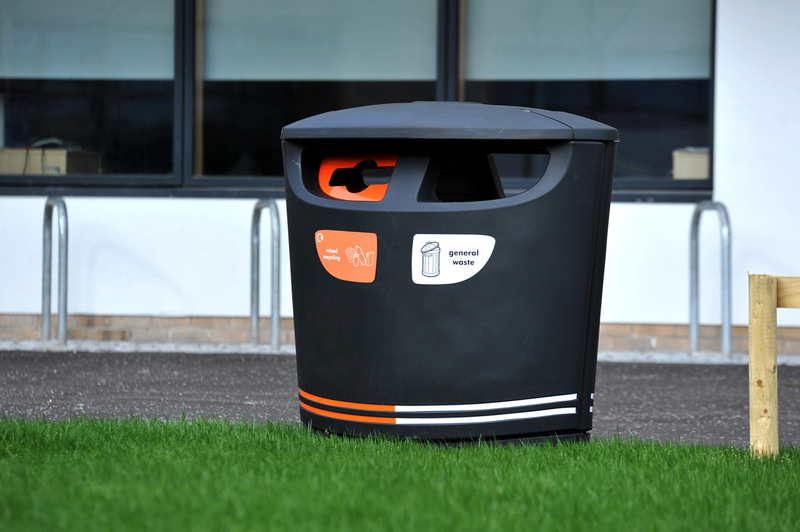 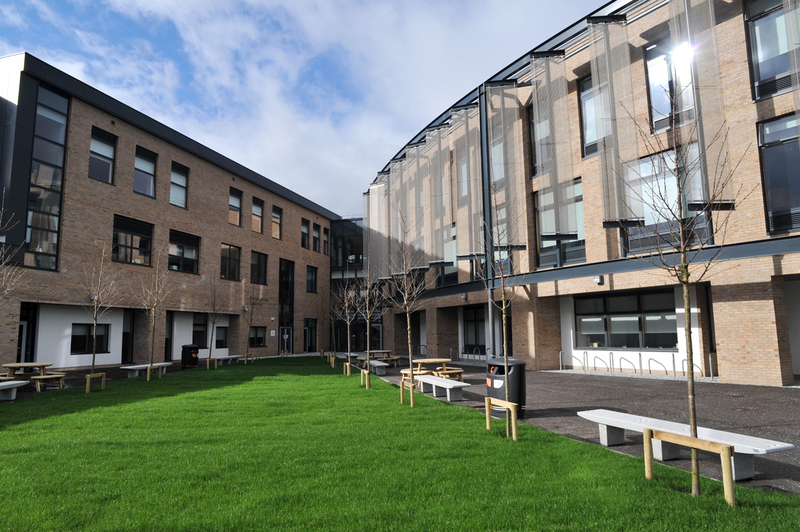 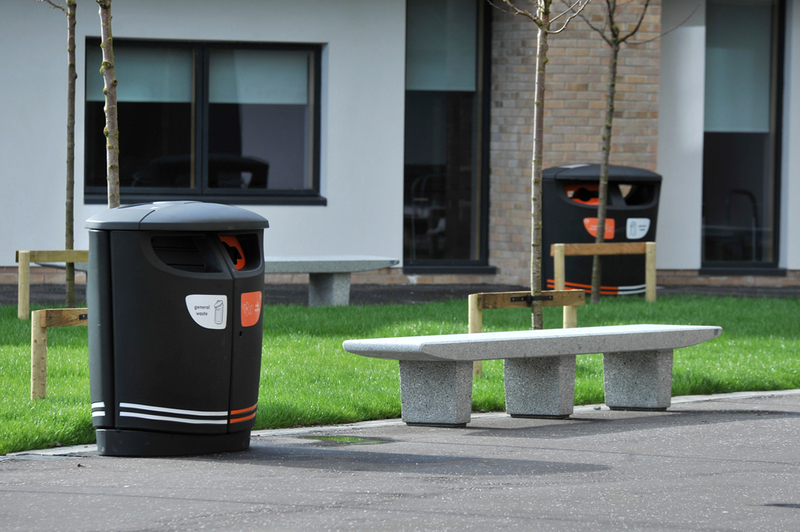 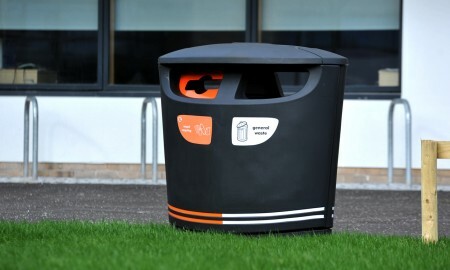 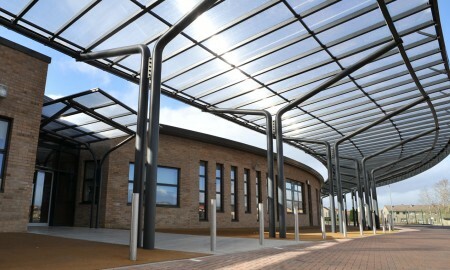 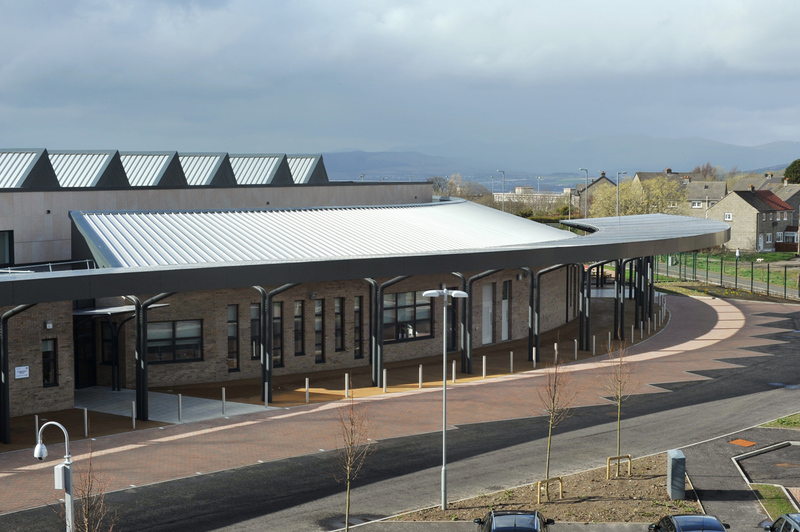 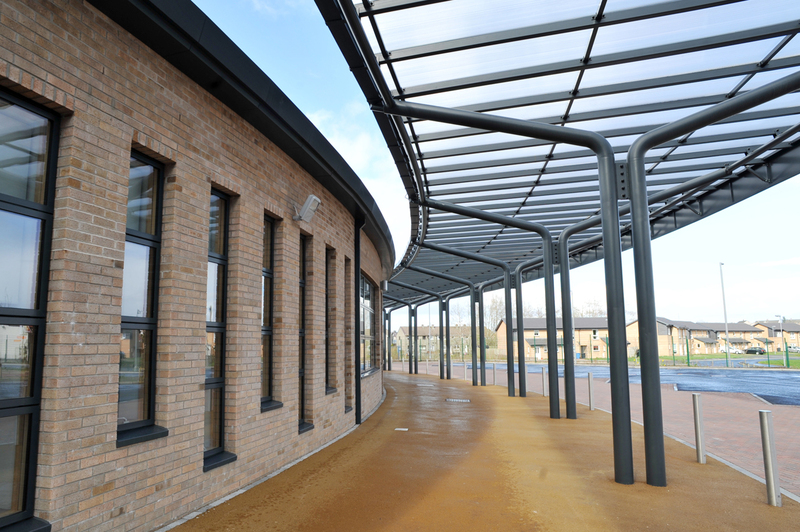 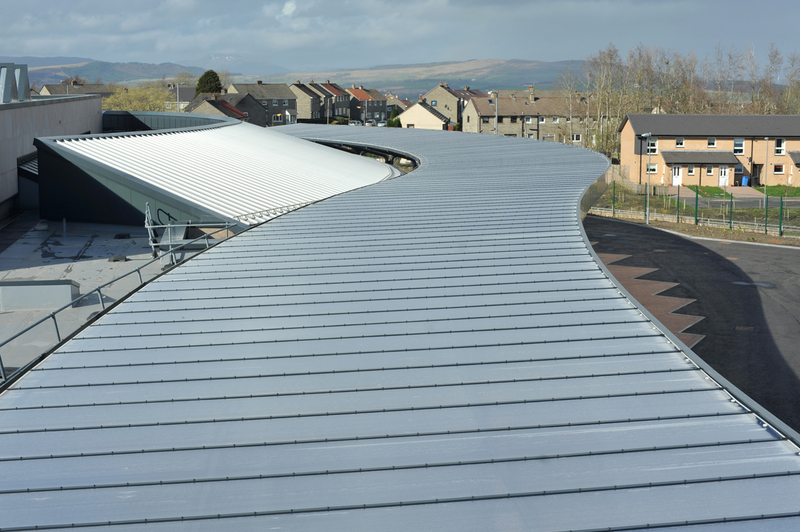 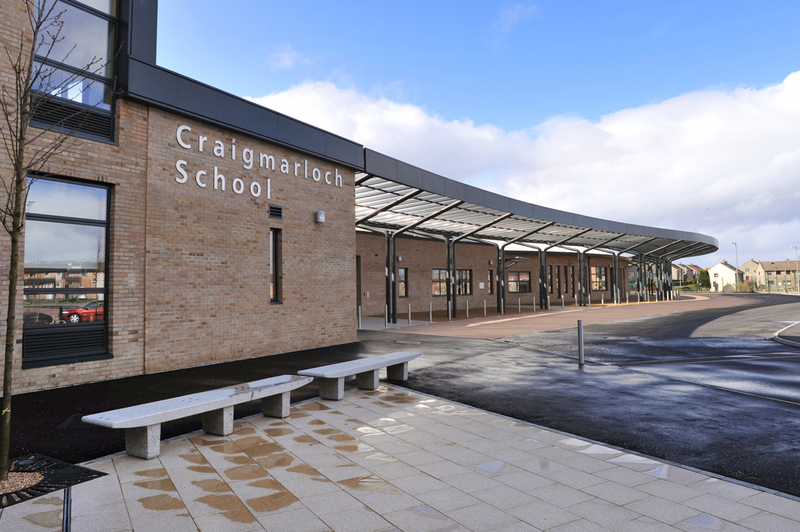 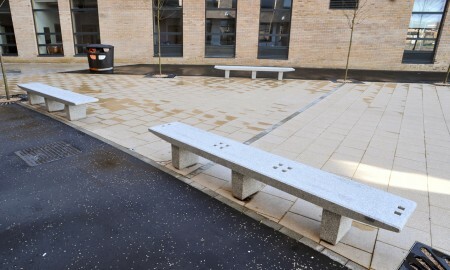 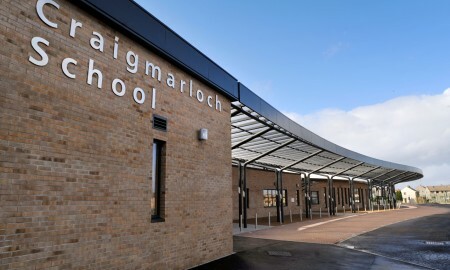 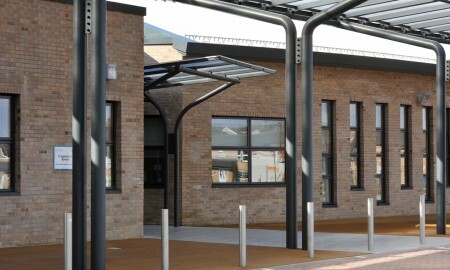 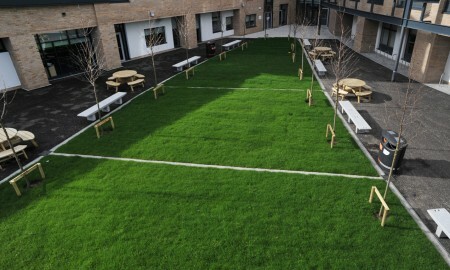 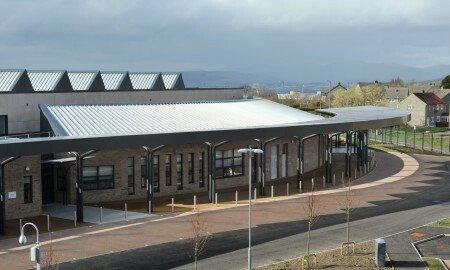 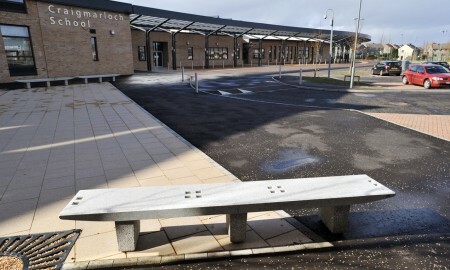 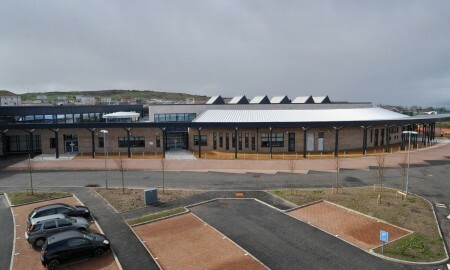 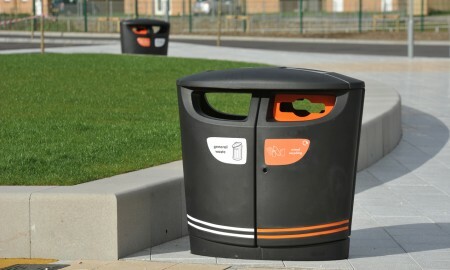 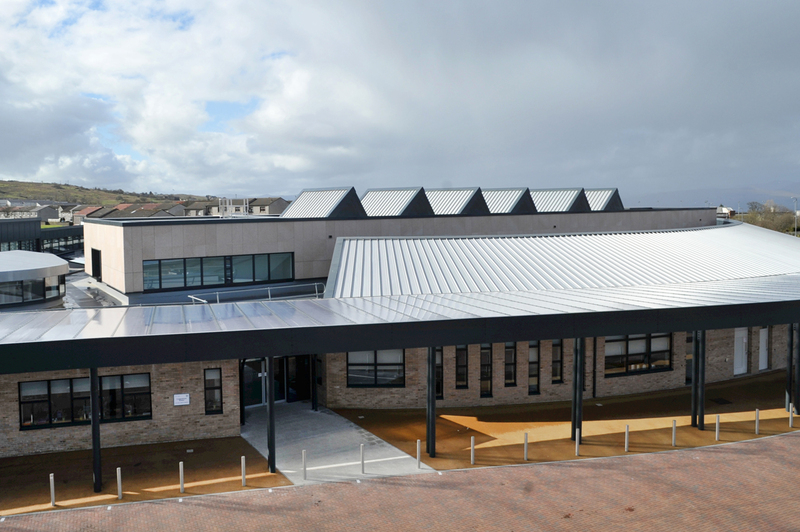 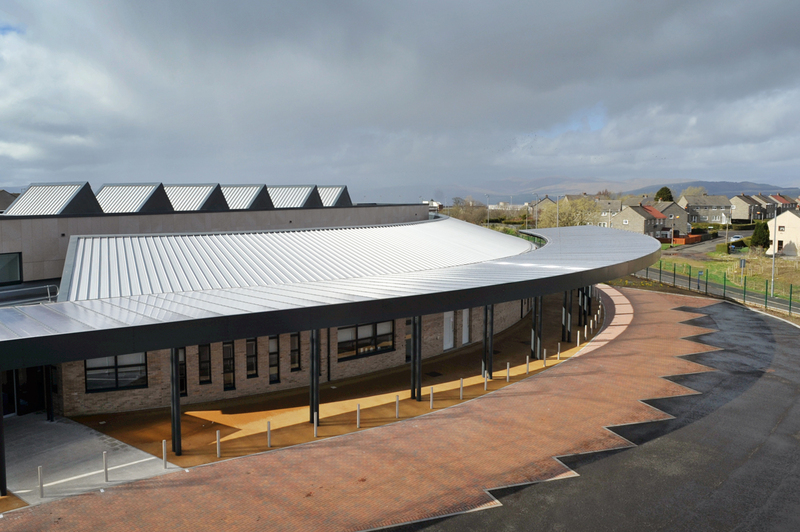 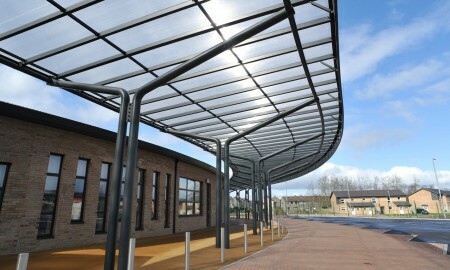 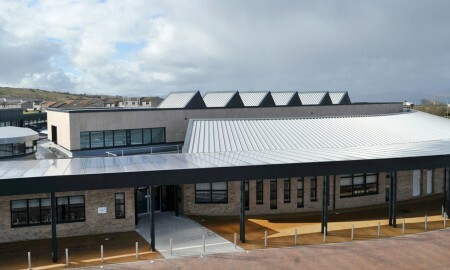 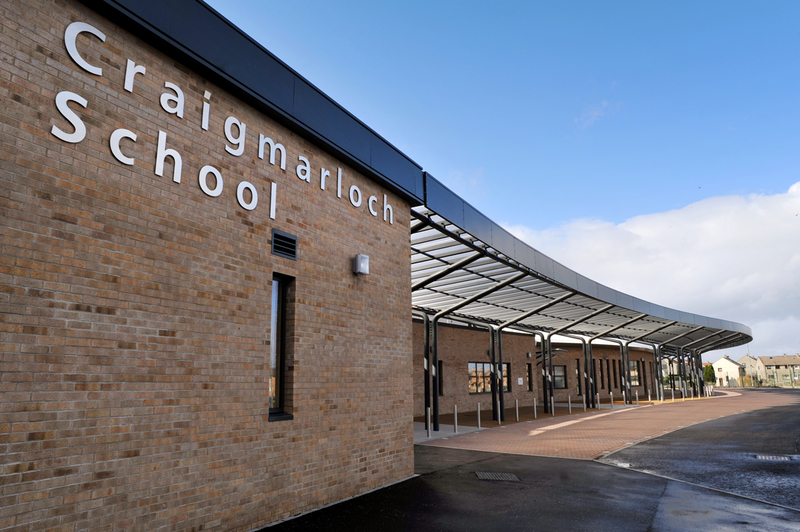 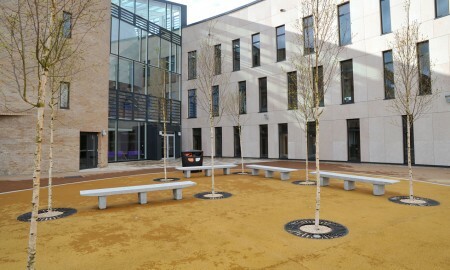 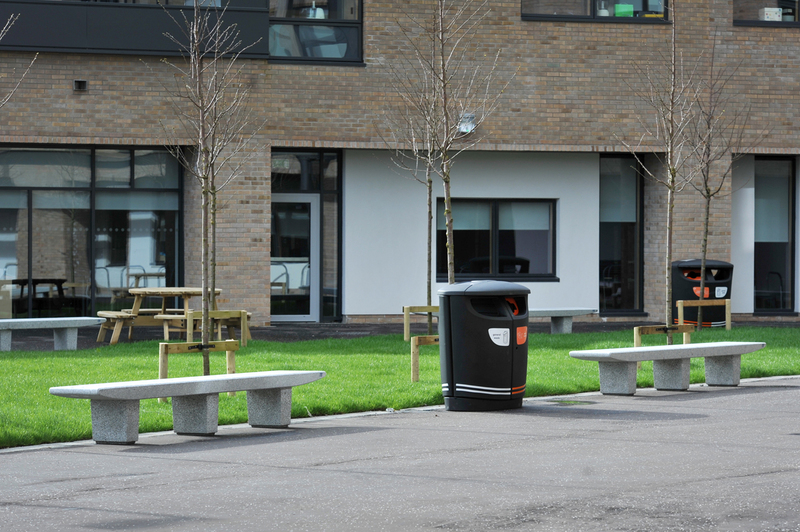 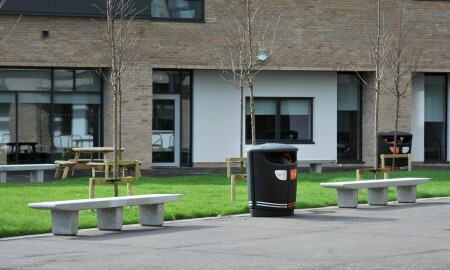 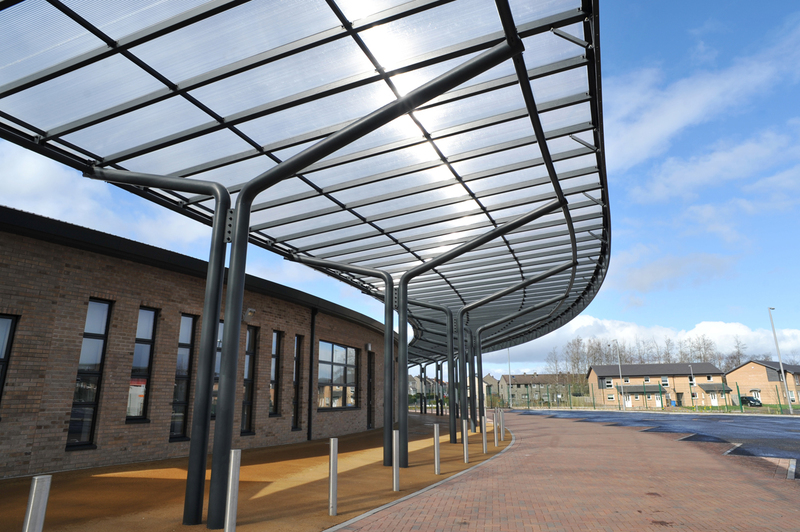 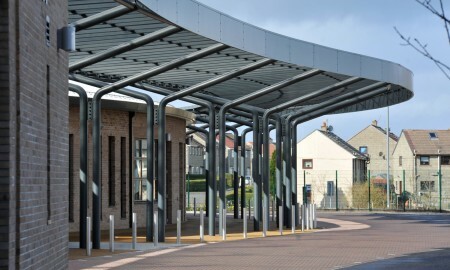 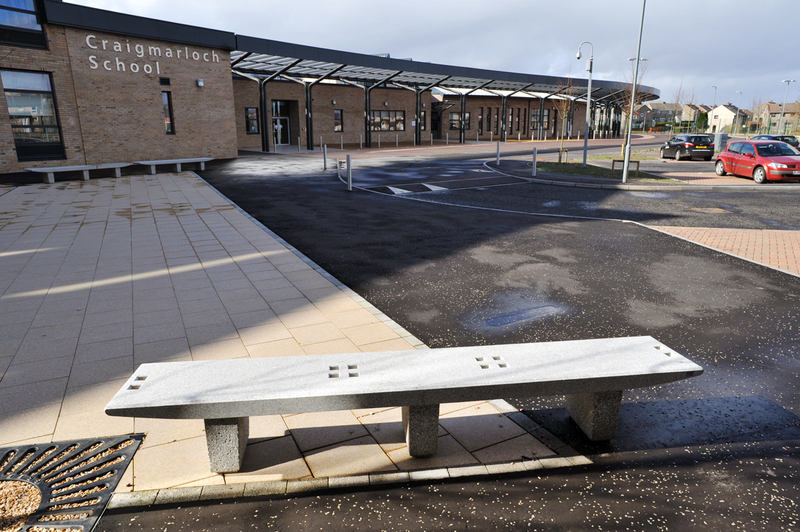 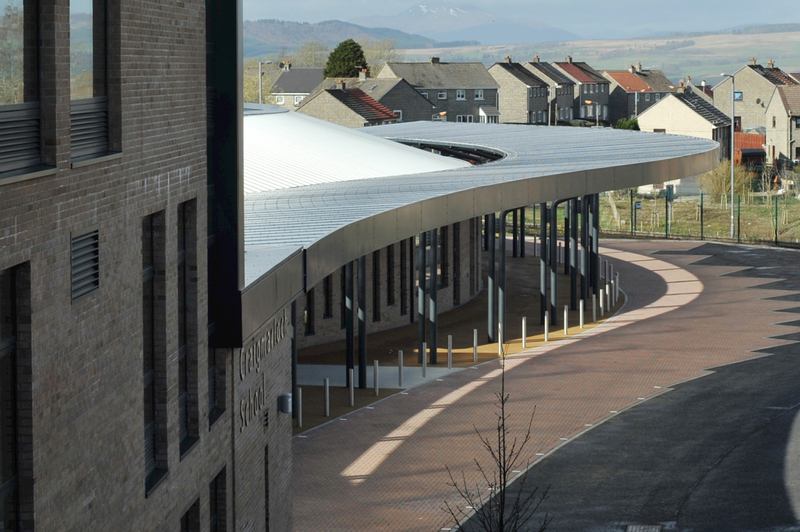 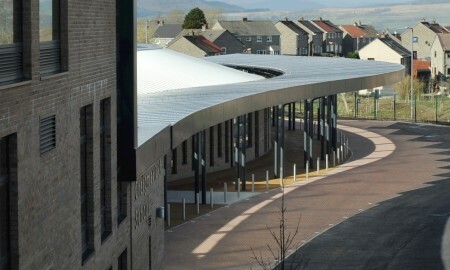 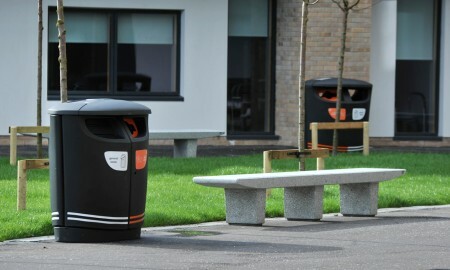 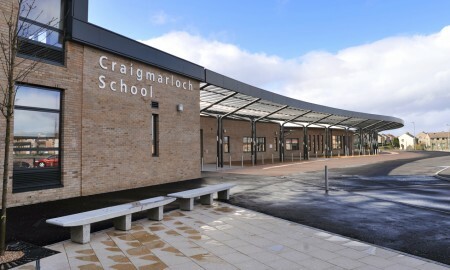 This was a project to build a new shared Campus Secondary School replacing the existing Port Glasgow High School and St Stephen’s High School. 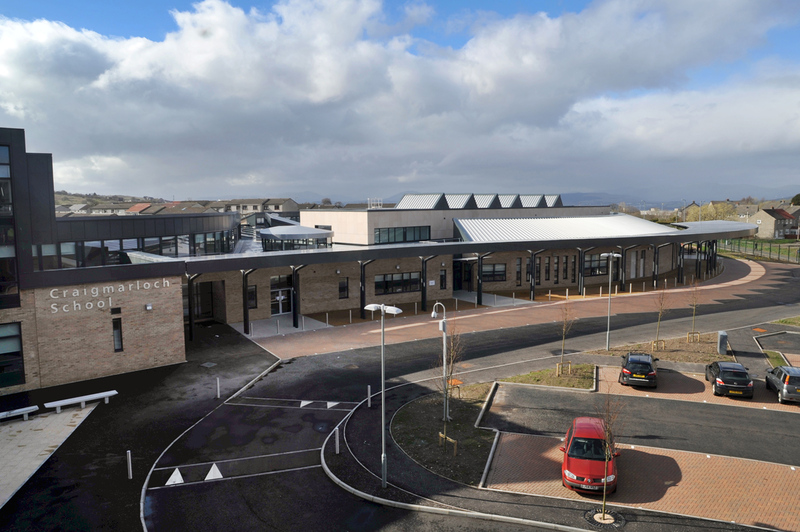 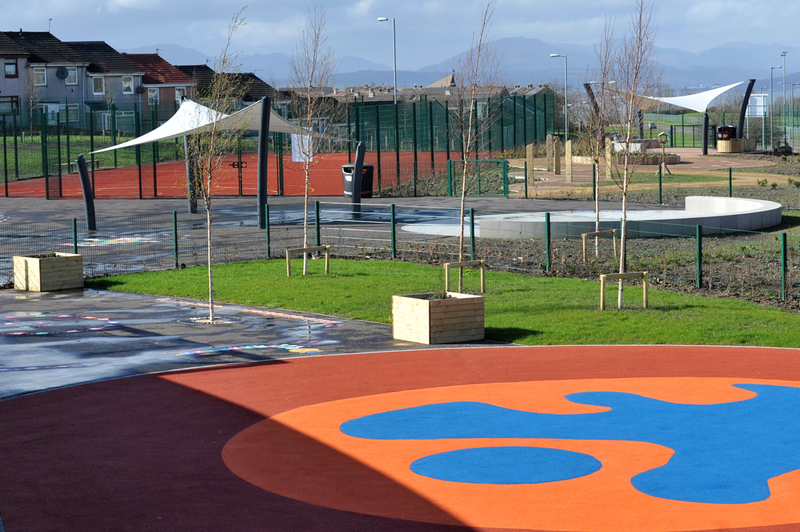 The site will also integrate Lilybank Primary School and Glenburn ASN Schools, together with an Enterprise Centre, Community Resource Facilities and sports facilities. 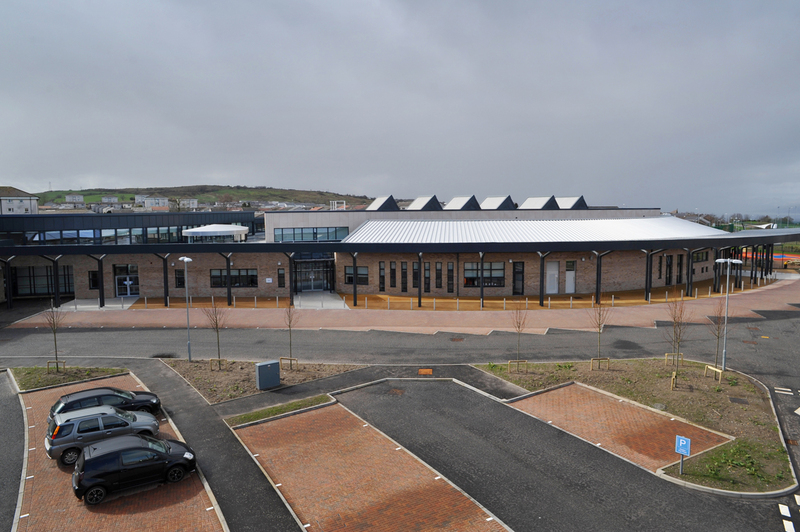 Leisure facilities include a Multi–Use Games Area (MUGA), fully equipped fitness suite and gymnasium and two all weather pitches. 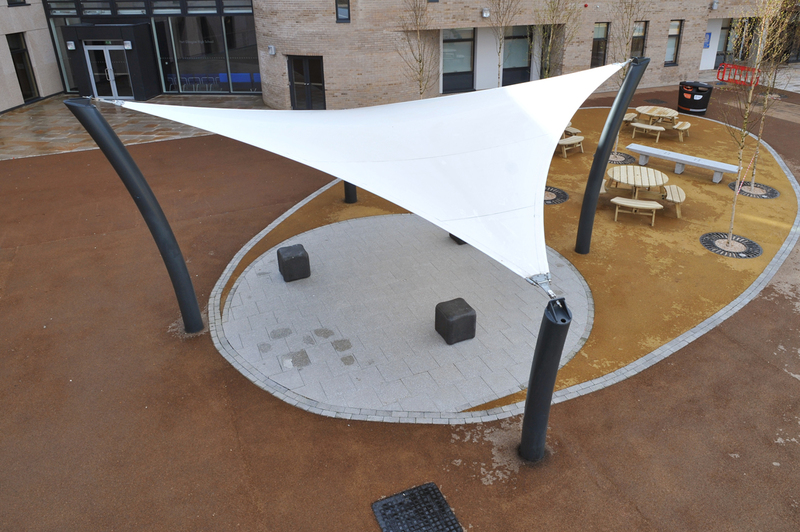 Broxap were asked to deliver a solution to Canopy and Walkway elements along with external furniture products in keeping with the original architects vision. 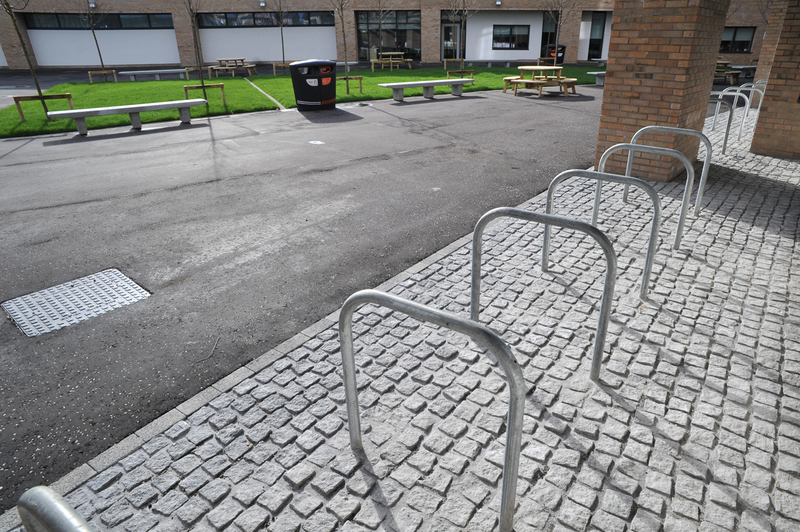 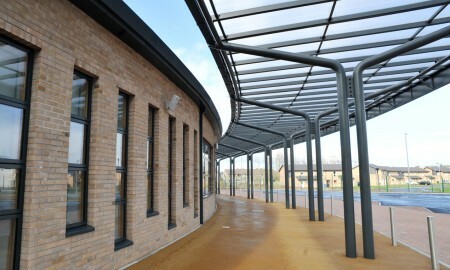 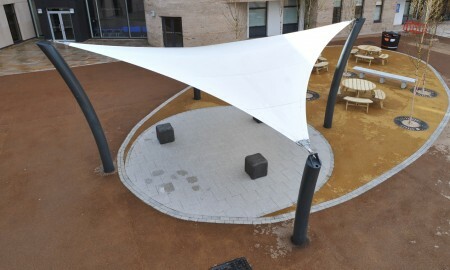 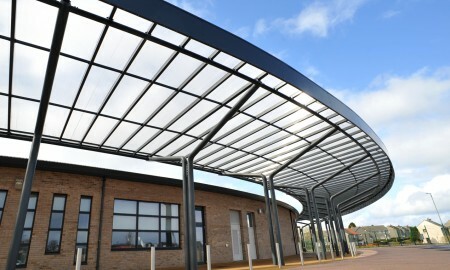 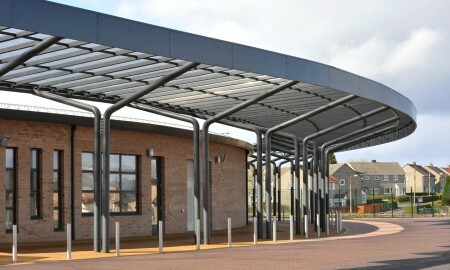 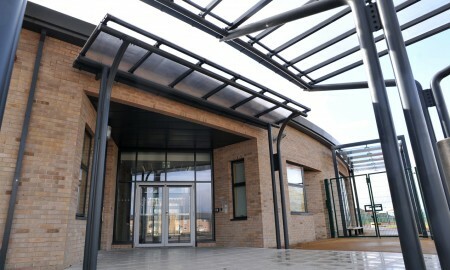 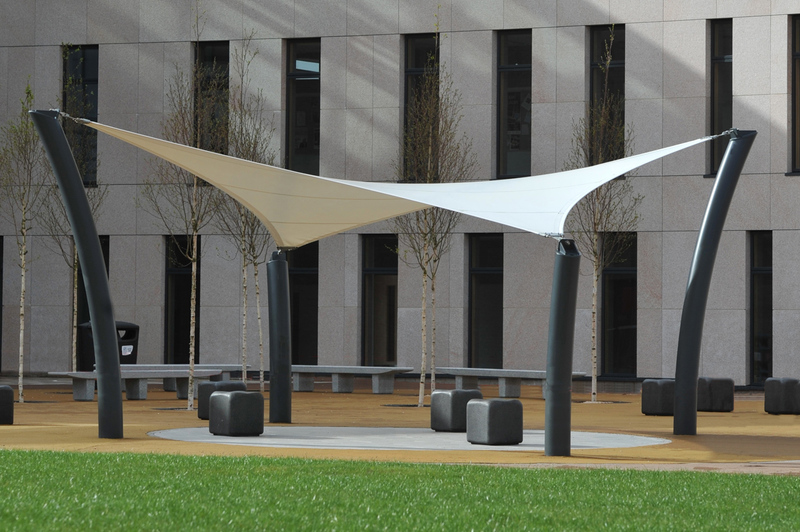 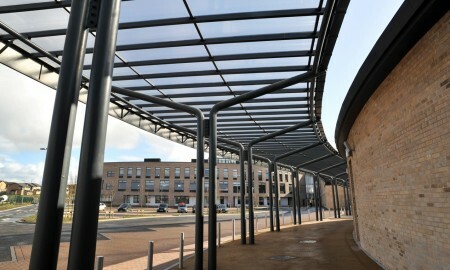 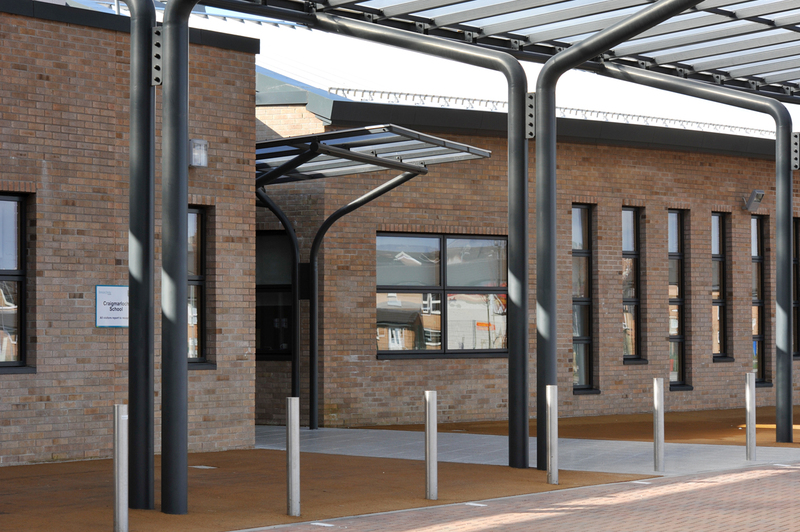 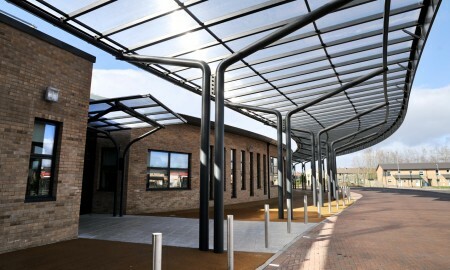 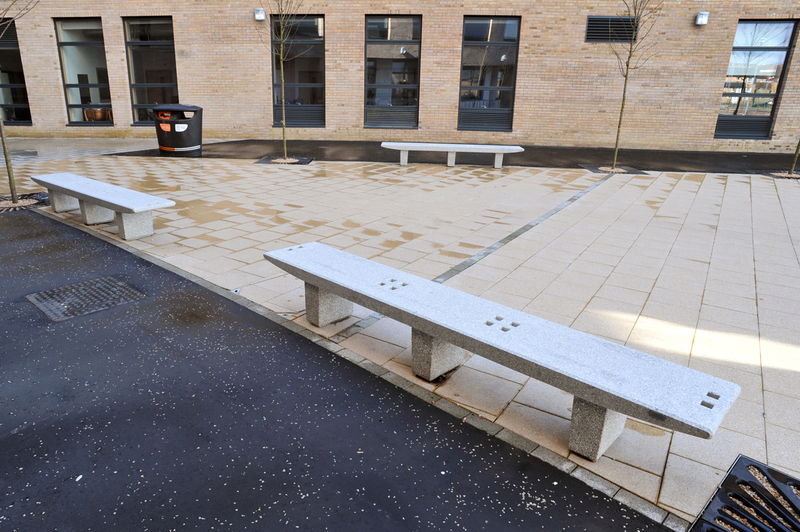 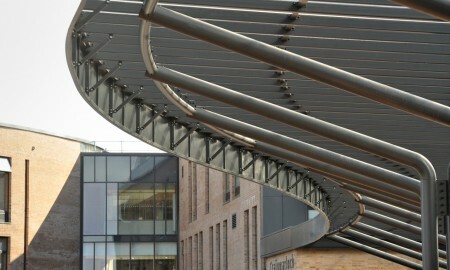 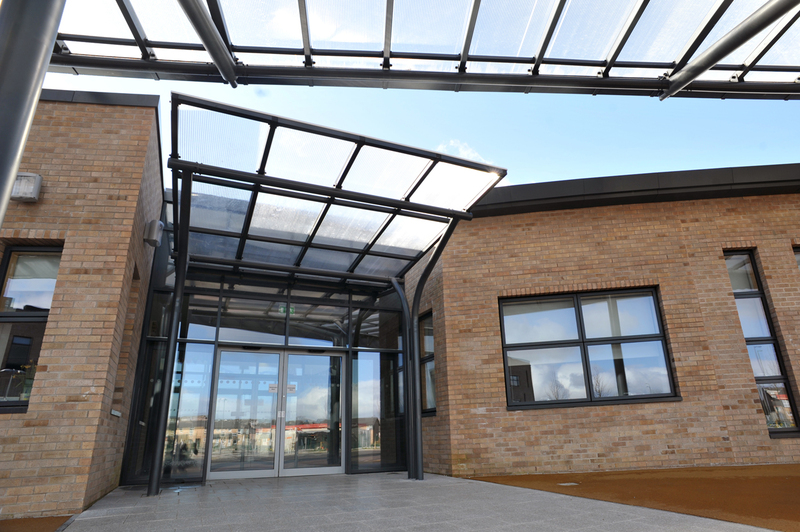 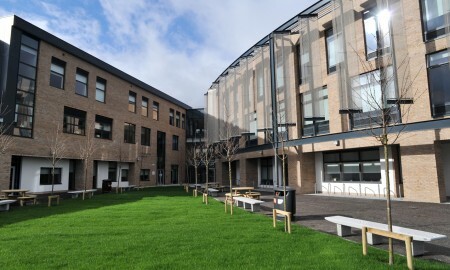 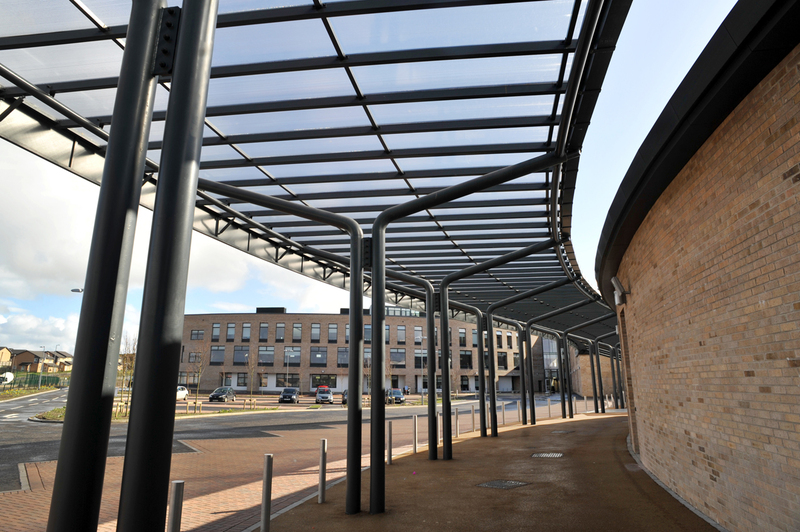 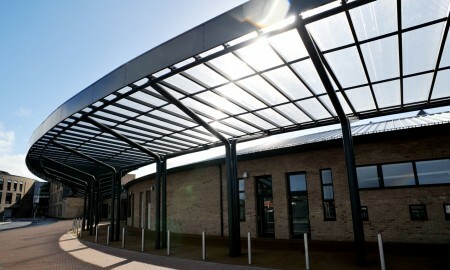 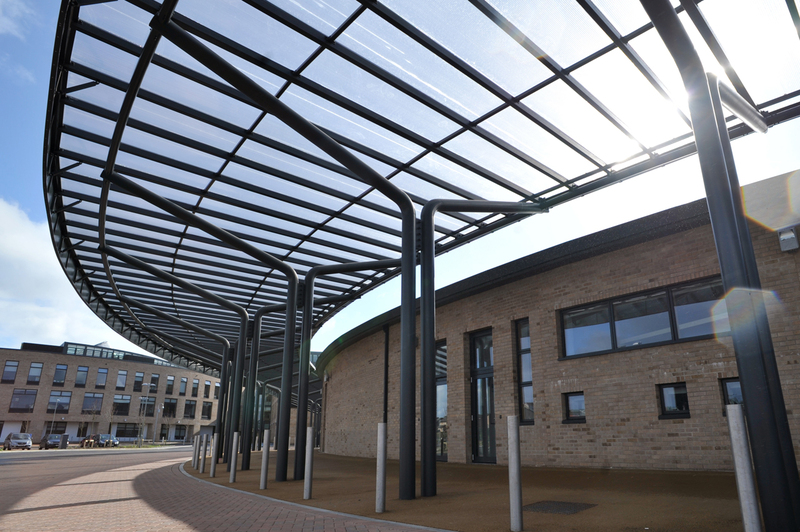 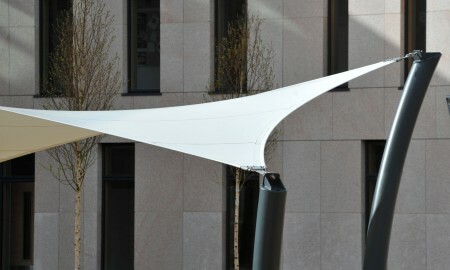 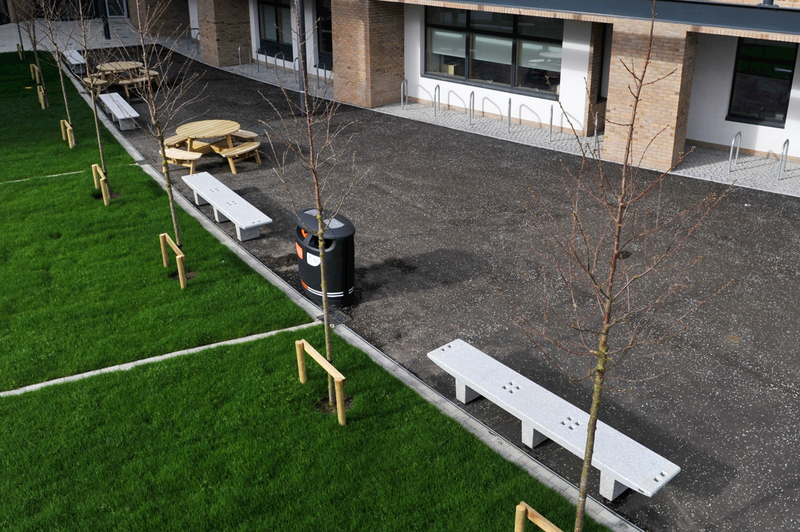 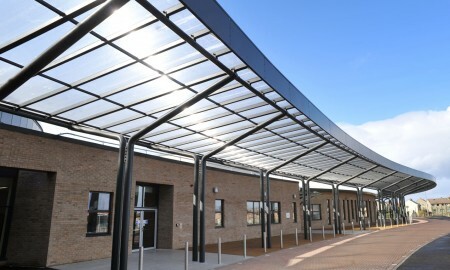 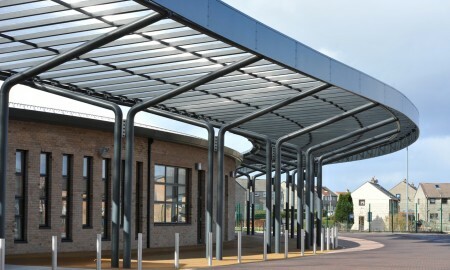 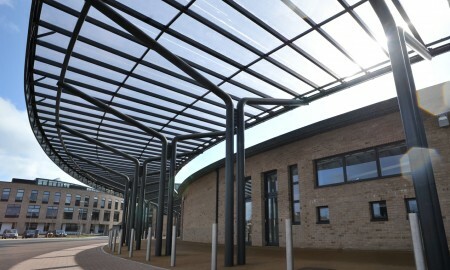 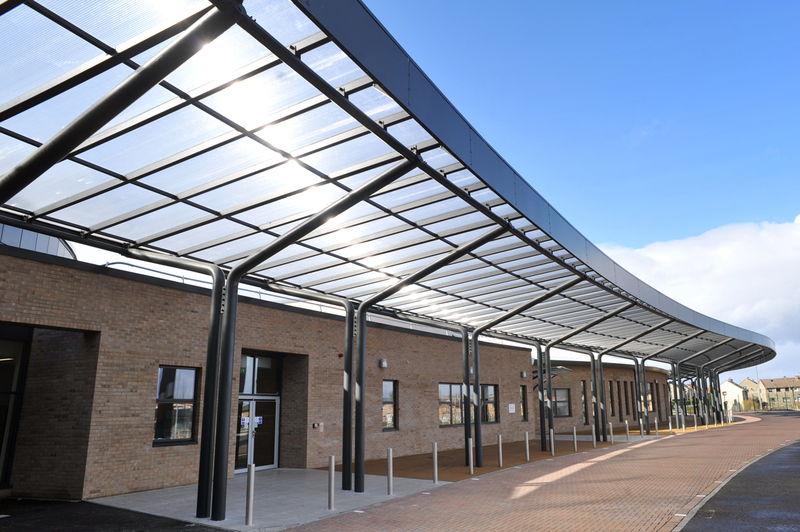 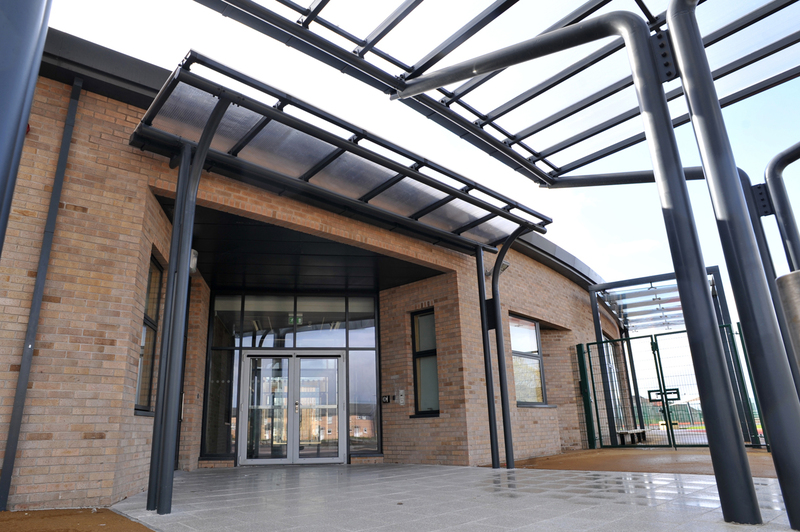 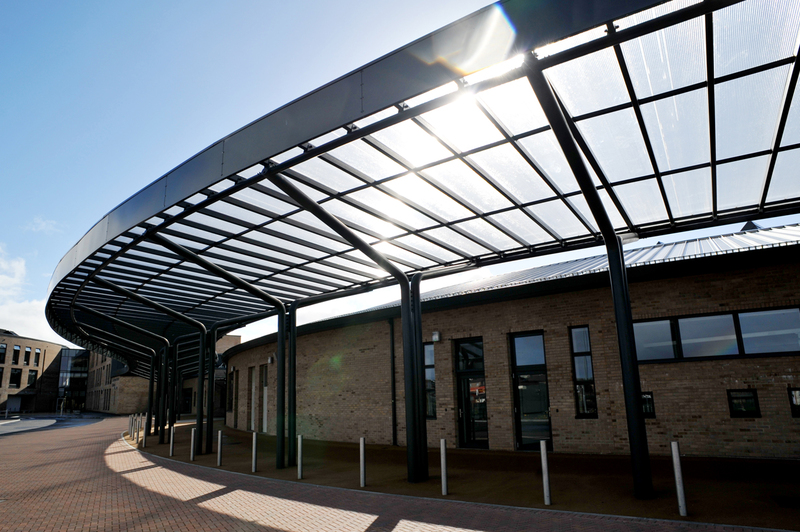 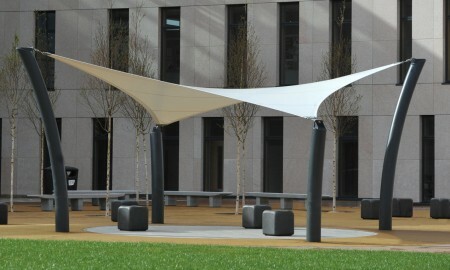 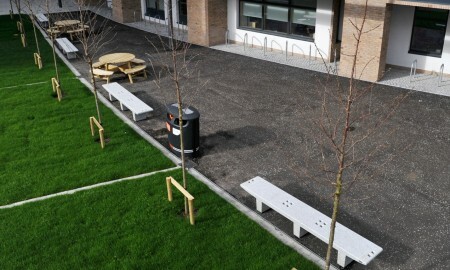 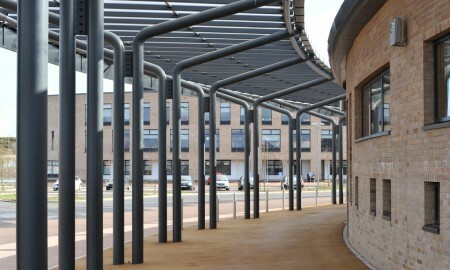 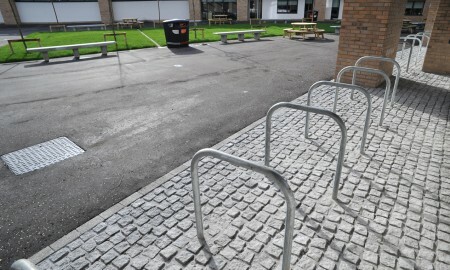 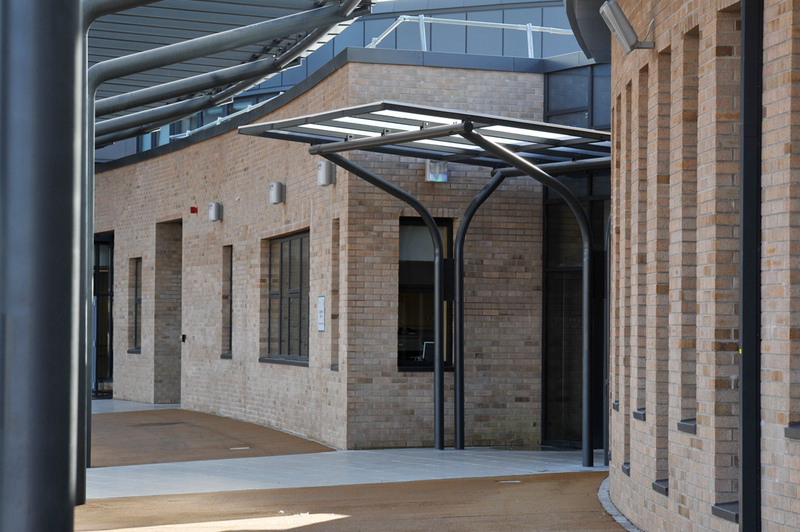 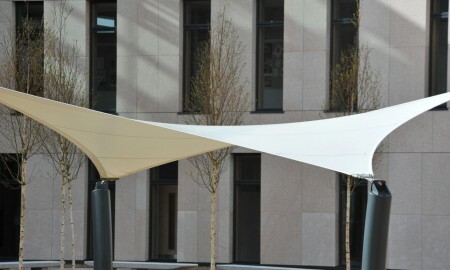 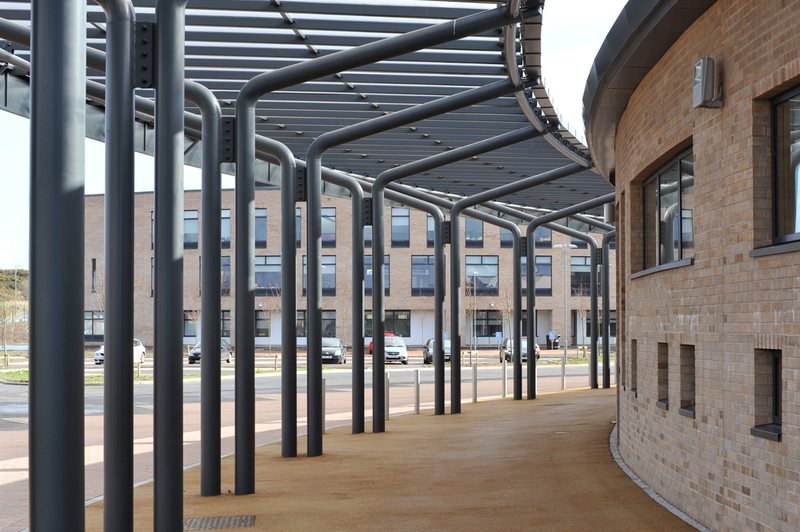 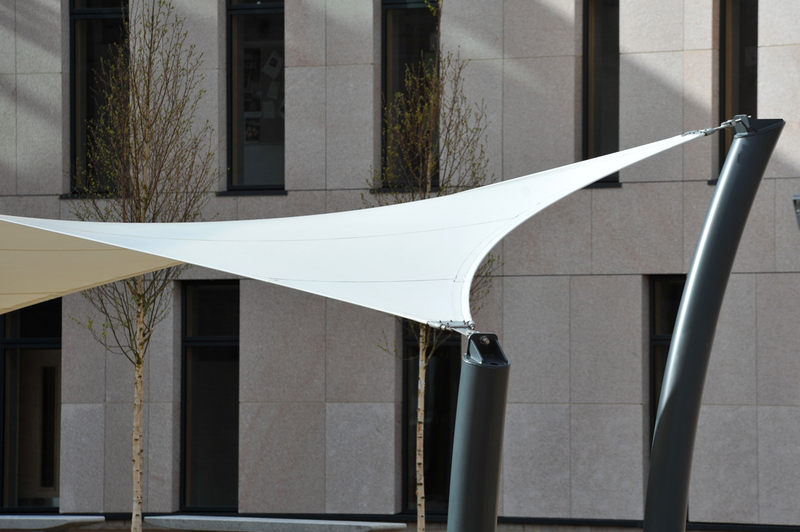 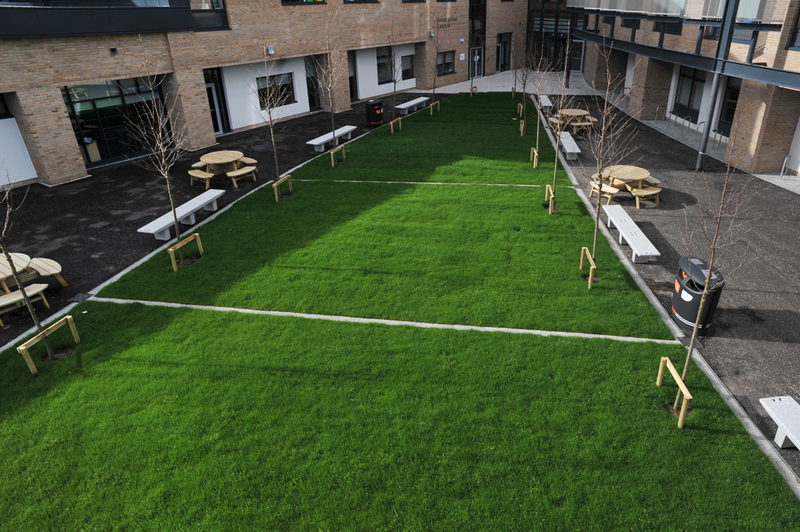 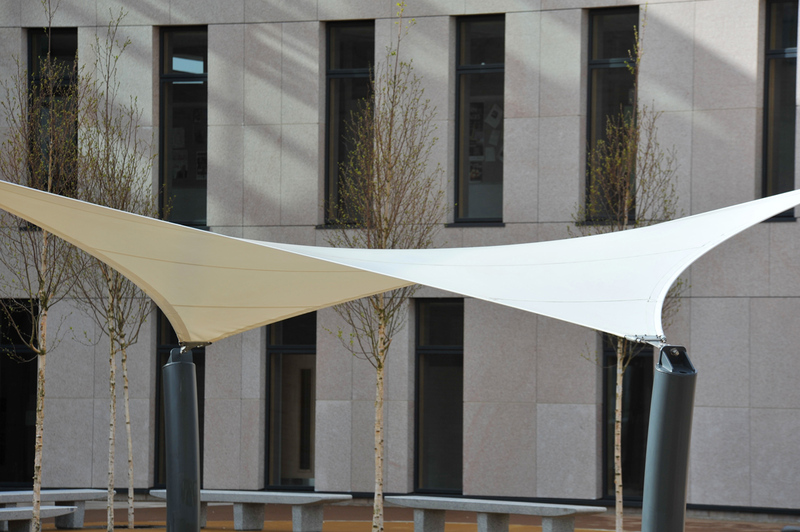 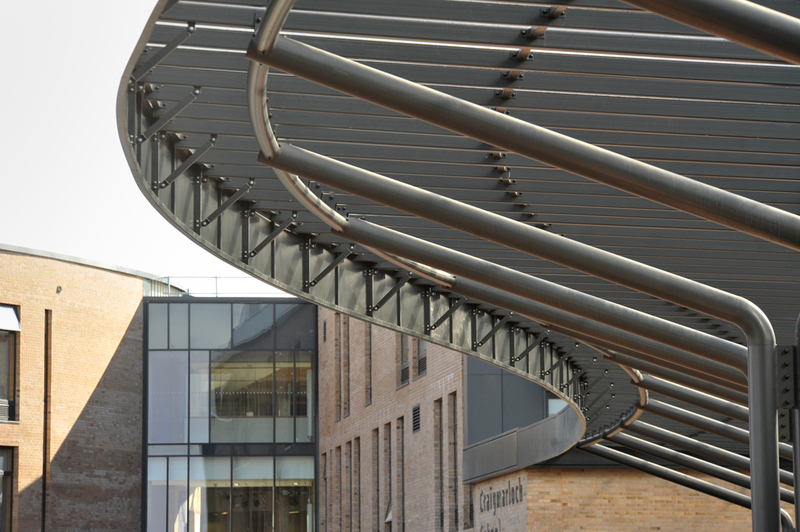 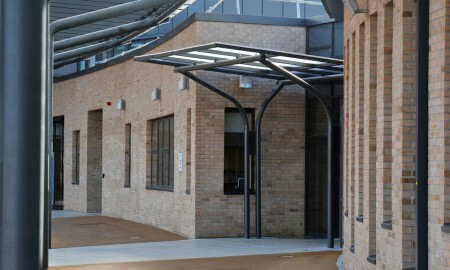 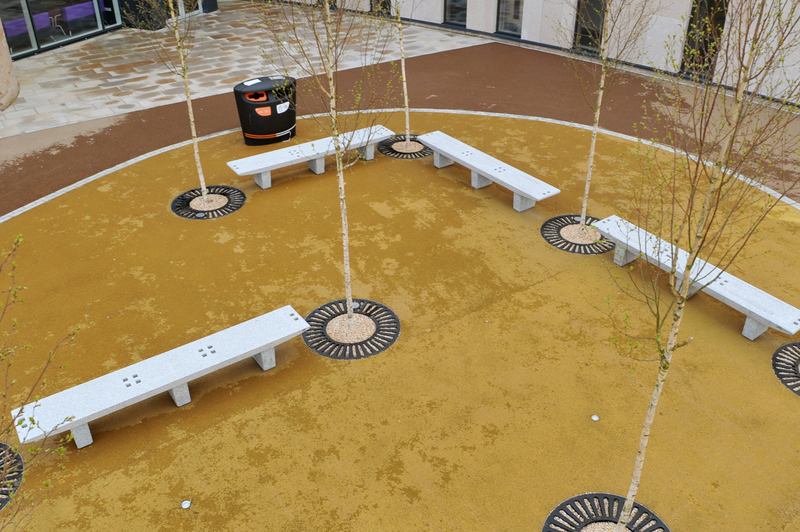 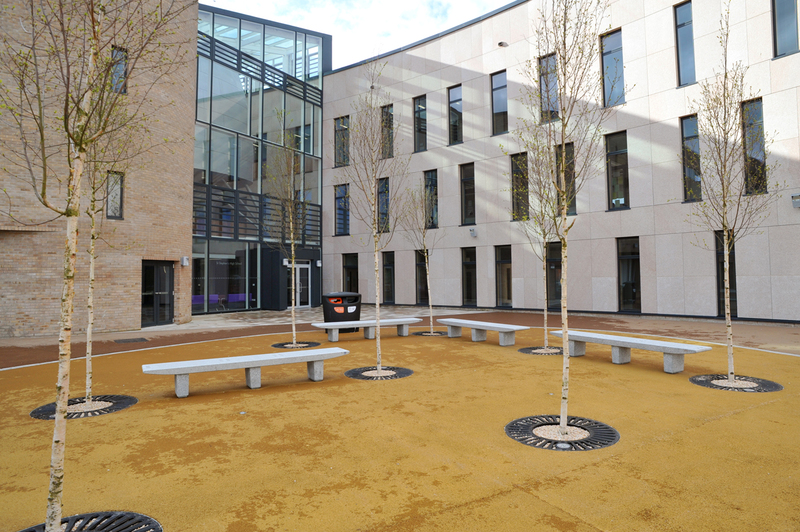 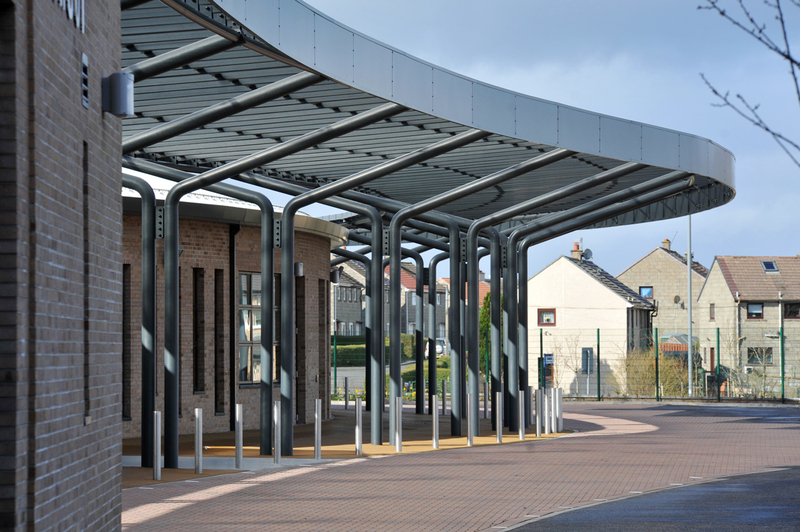 A bespoke walkway was designed, manufactured and installed by Broxap to the main frontage of the campus along with tensile sail canopies and concrete benches to other areas of the campus. 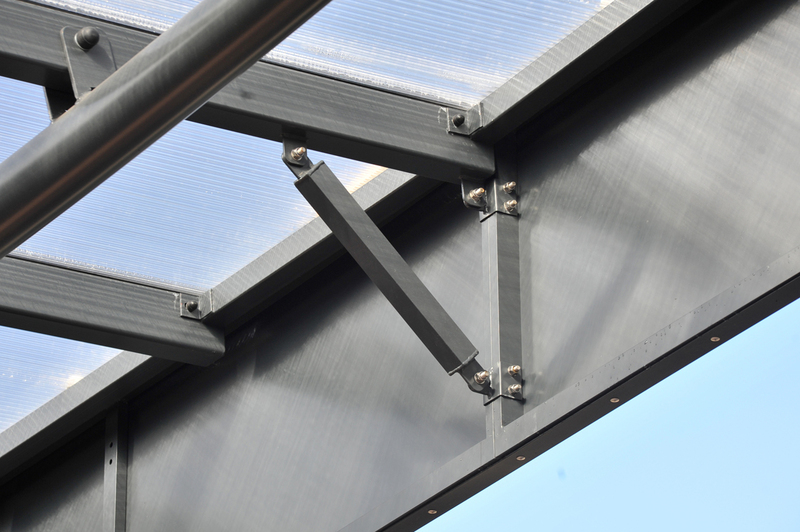 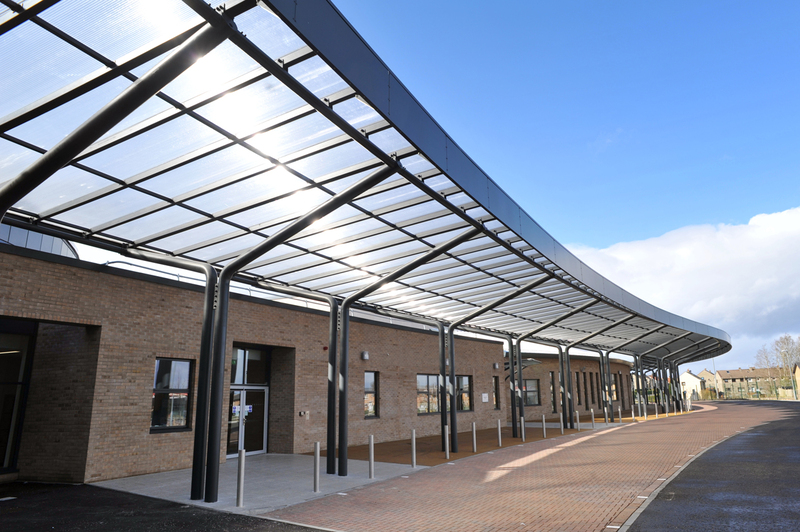 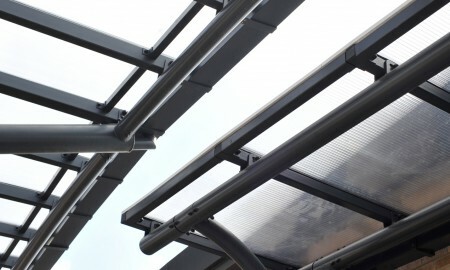 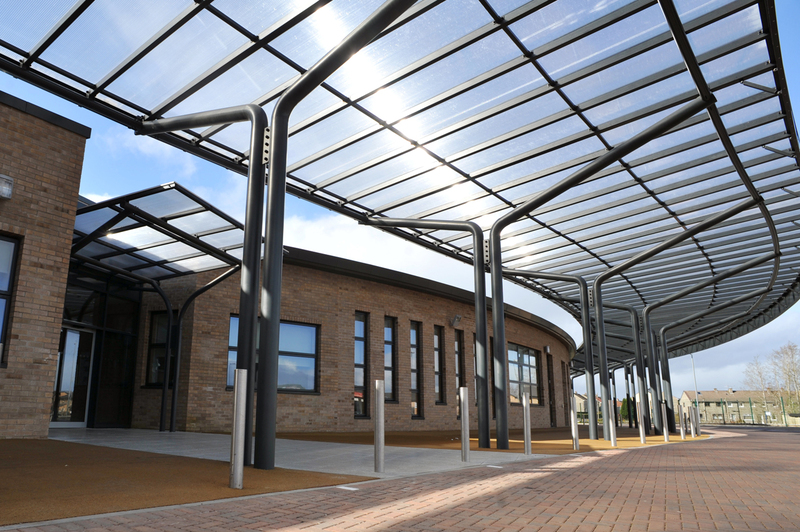 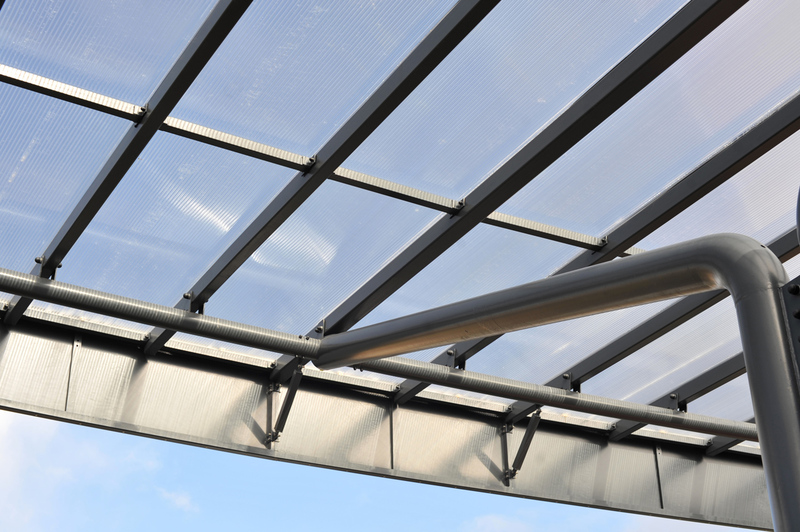 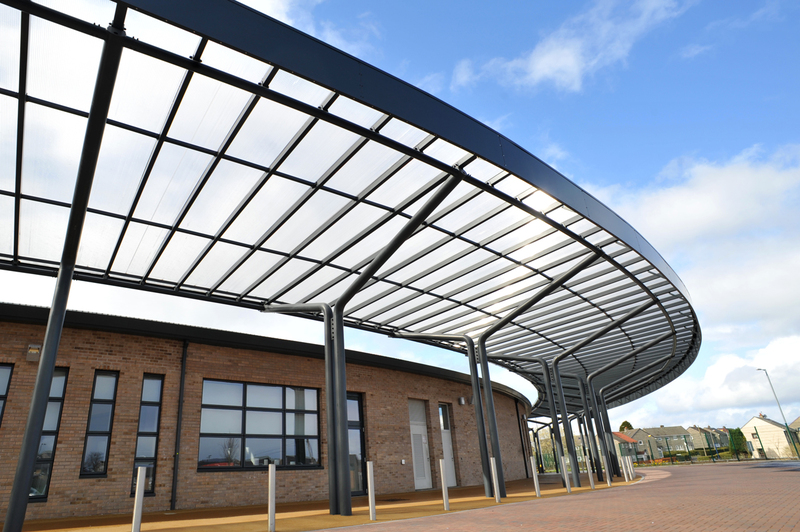 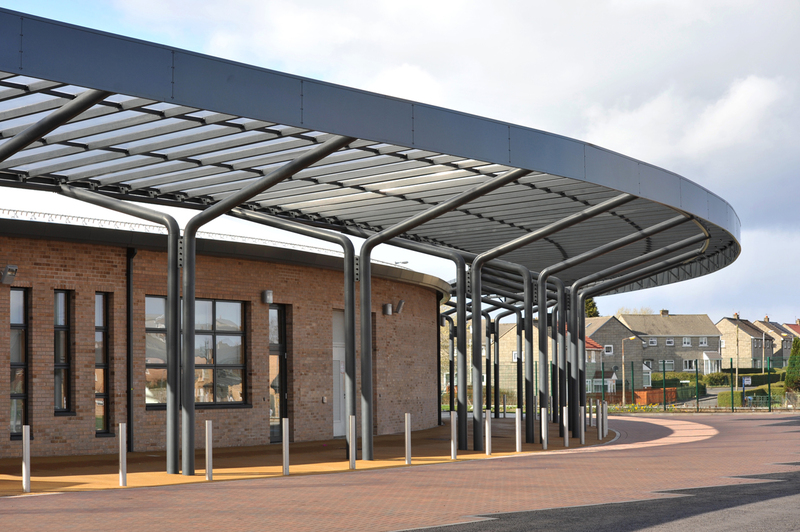 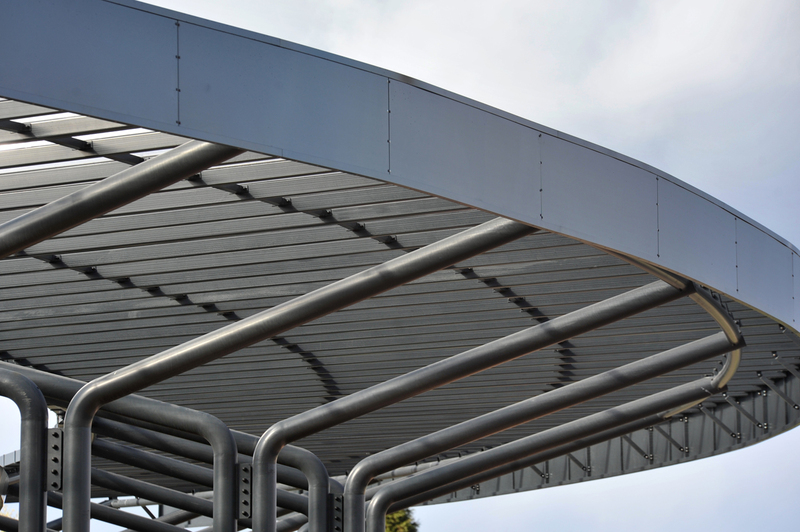 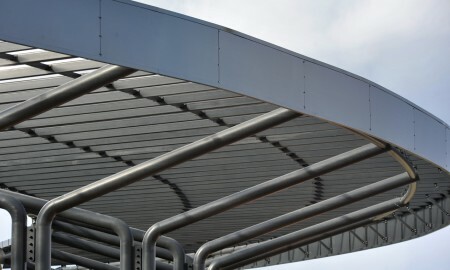 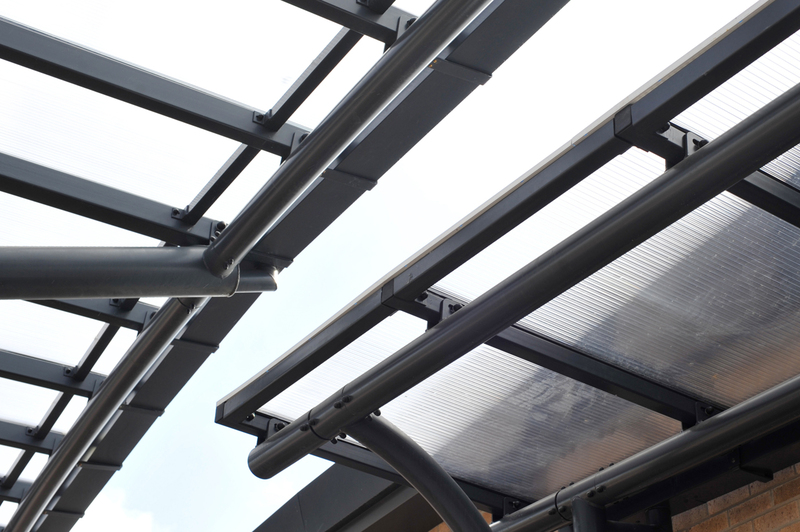 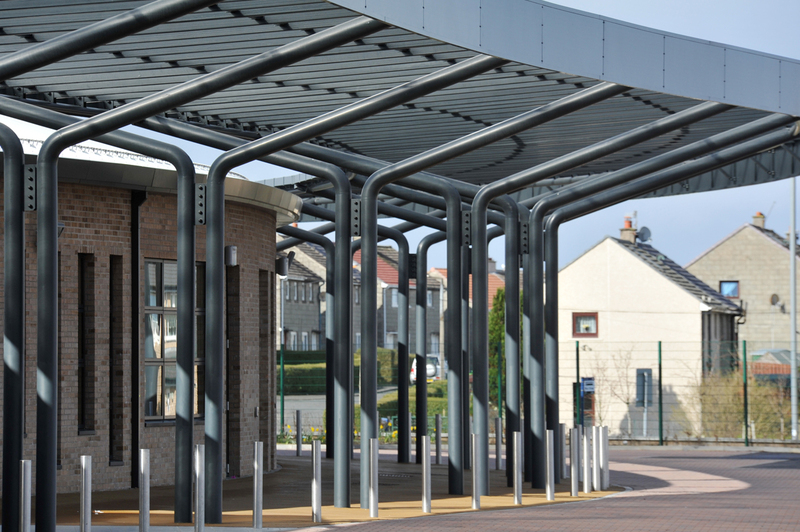 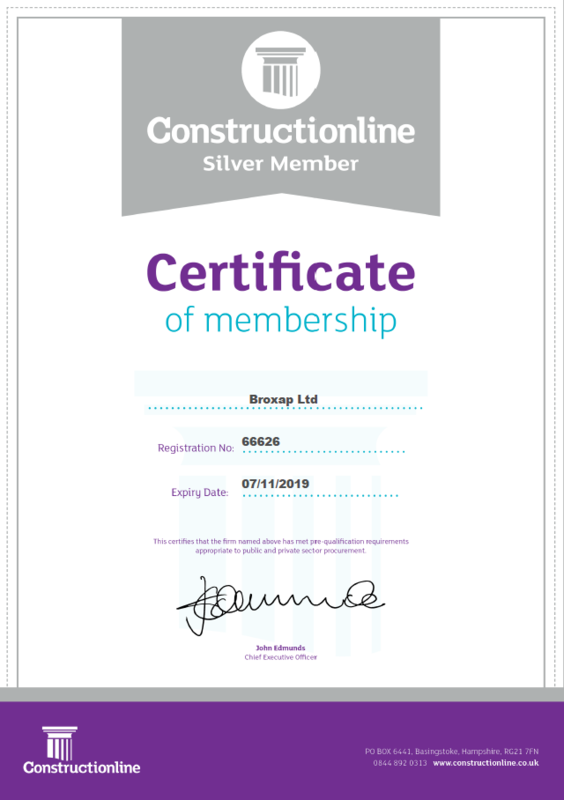 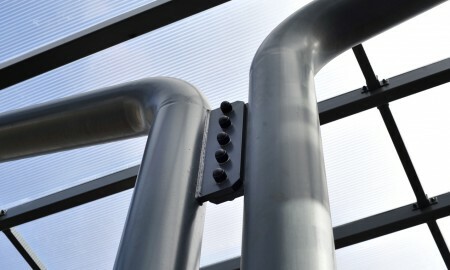 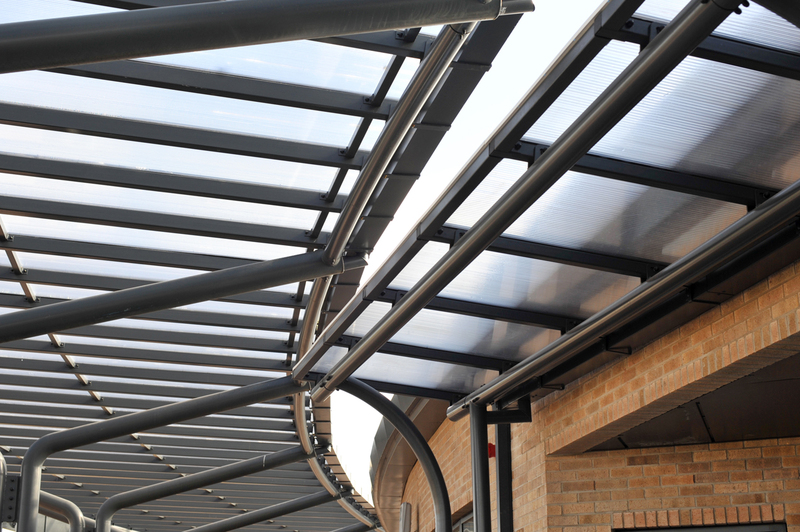 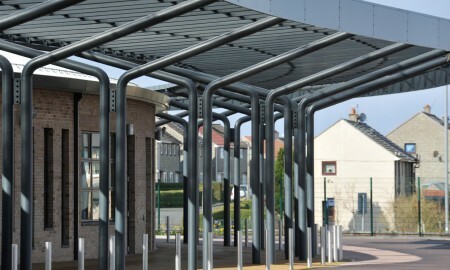 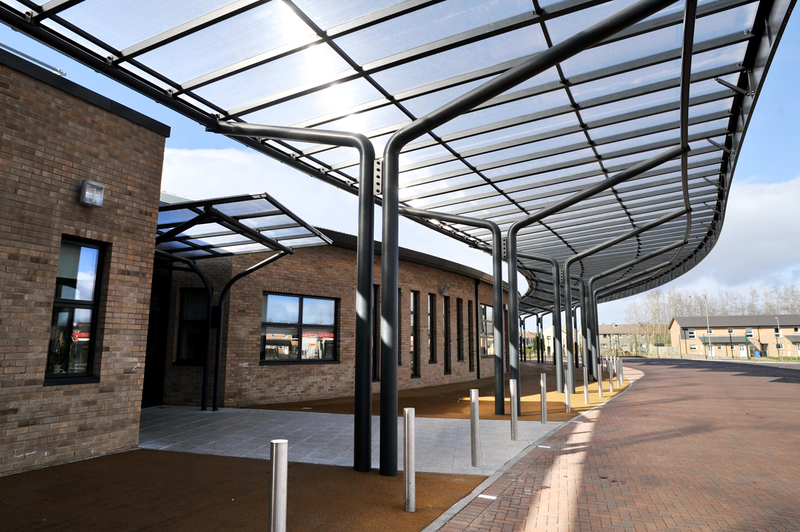 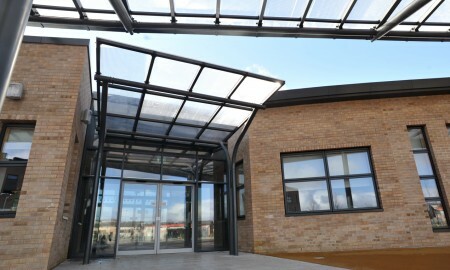 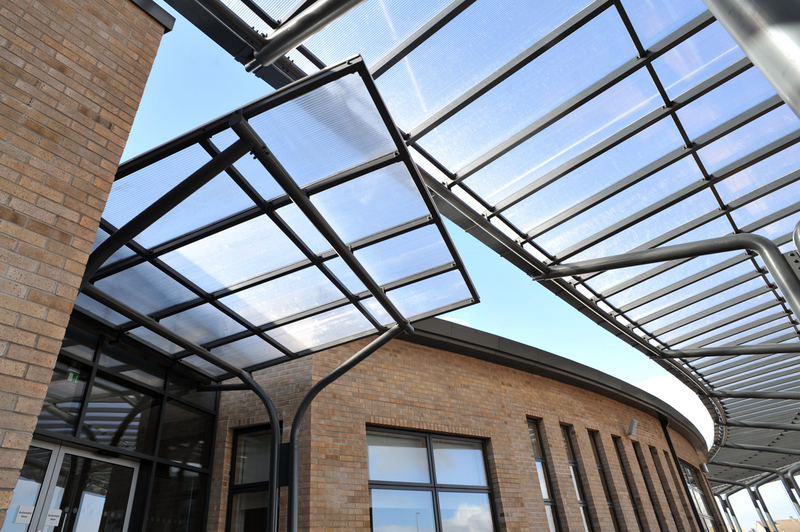 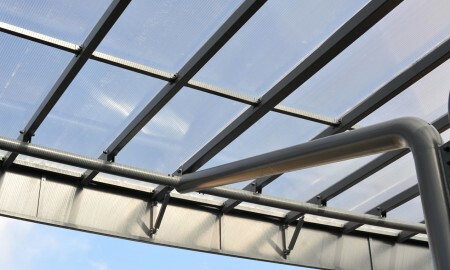 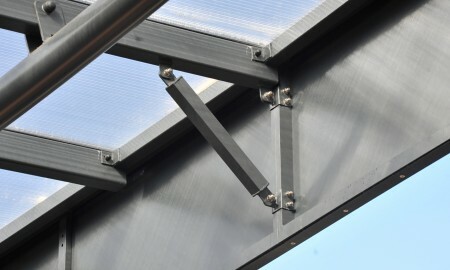 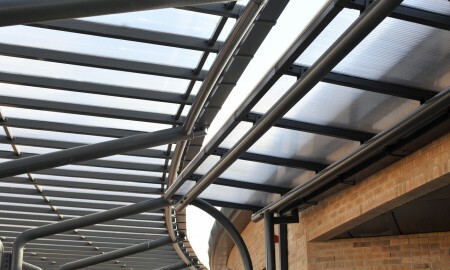 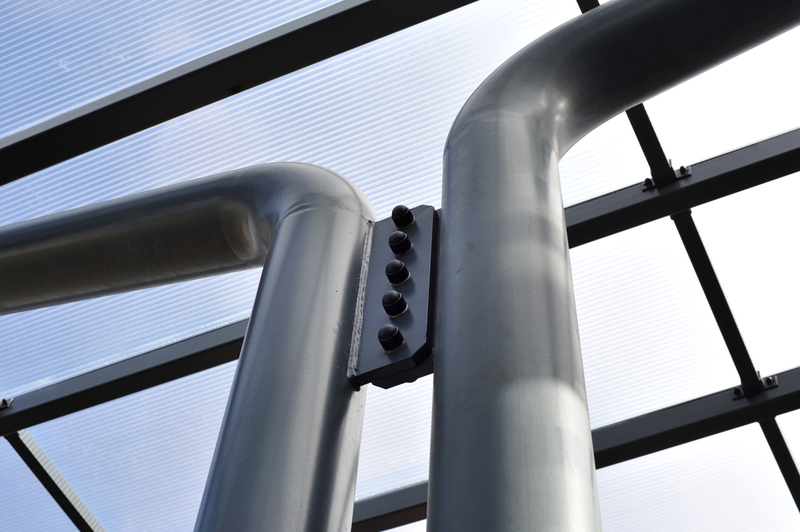 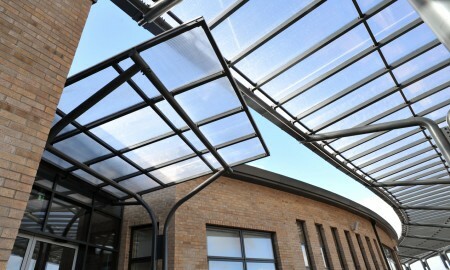 The complexity of the large end frames of the canopy created challenges with galvanising, powder coating and transportation all which were overcome with constant monitoring and communication from a dedicated Broxap Project Manager. 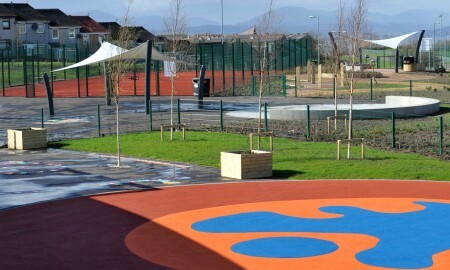 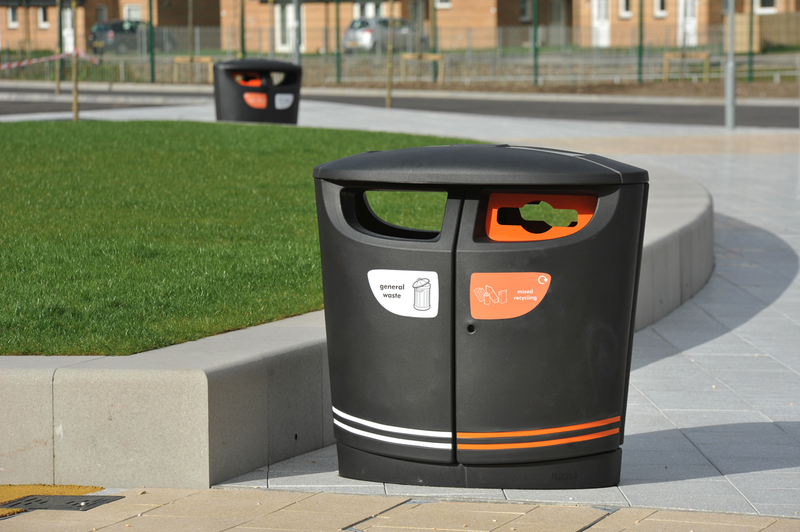 Work began on site in April 2013 and progress steadily through the summer and autumn months until all elements were completed in December 2013.